Last Friday American took delivery of another new 737, and to promote the arrival of their new plane they put on a scavenger hunt in Miami. They hid four 737 models at different locations in Miami then gave out hints on Facebook and Twitter. The lucky four people that found the planes each won 5,000 AAdvantage Miles. 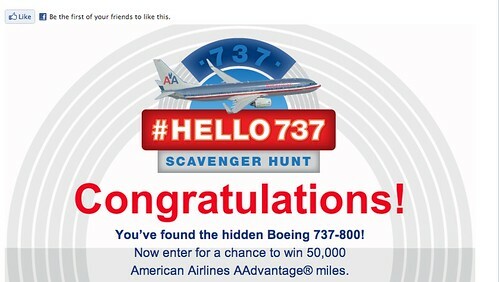 They also kicked off a new online scavenger hunt for a chance to win 50,000 AAdvantage Miles. 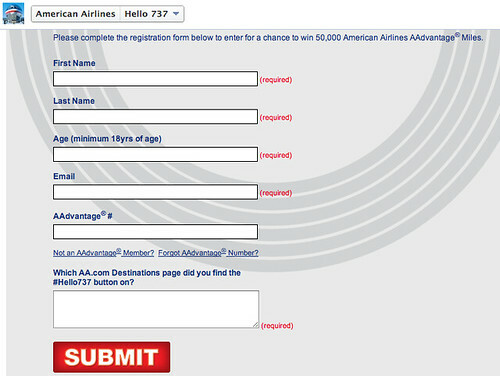 To enter all you have to do is go to American’s website, find and click the button labeled #Hello737, then complete the entry form. 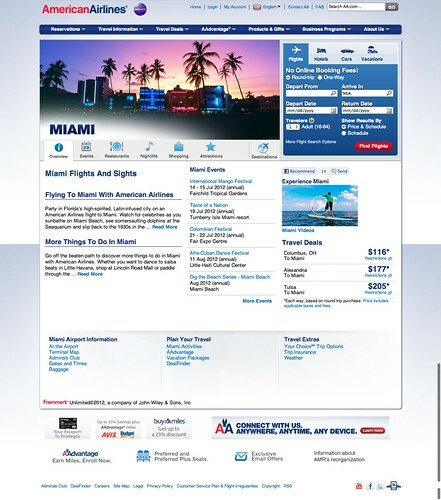 If you want to do this without a hint, go to AA.com/Miami to get started. For those that want a little more help, scroll down the page for a walkthrough. UPDATE: The #Hello737 button is no longer visible. Here’s a direct link to the Facebook page. This will take you to American’s Facebook page. Complete the entry form. UPDATE: The #Hello737 button is no longer visible. Here’s a direct link to the Facebook page. The contest ends 11:59 p.m. CT on September 7, 2012. Good luck! 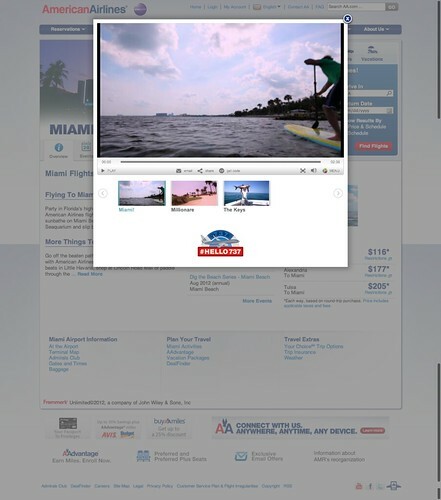 Also on the subject of winning AAdvantage miles, don’t forget that AAdvantage sponsors the Monday Deal of the Day over at the Frugal Travel Guy. Share your best AAdvantage or AA related travel advice for a chance to win 2,500 miles. Go here to add your tip. The promo wasn’t available at the link for me, but I found it directly at AA’s FB page in their list of apps. Thanks for the post, I love hearing about these promos. Just a heads up, the Hello737 image is gone from the player. I’ve tried being both logged in and not logged into aa.com. I also see on their facebook page that the last plane was found in Miami, thus the scavenger hunt is complete. 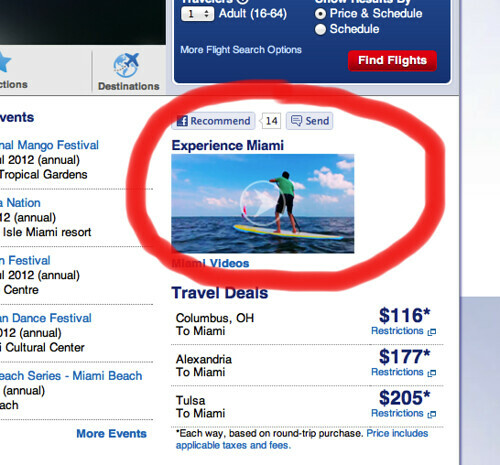 I poked around a few of the other destination sites on AA but couldn’t find the promo. What browser did you use? It didn’t work for me. The #hello737 wasn’t underneath the preview images. Maybe I’m doing something wrong but I don’t see the #Hello737 logo appear near the Miami videos, even after letting them all play. Did this both using Internet Explorer and also Firefox. @ Austin @ FlyerM @ Joel @Max M – I wrote the post yesterday and everything was working. 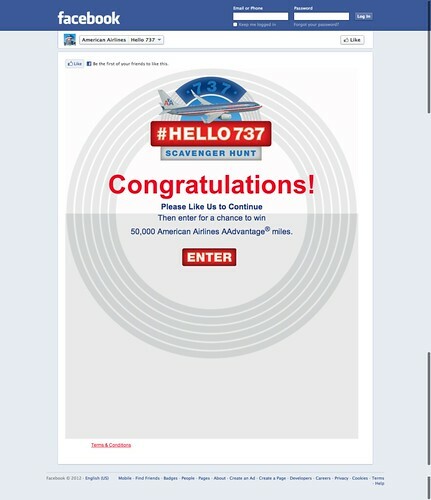 Here’s a direct link to the #Hello737 entry page on Facebook. Thanks for bring the issue to my attention! Thank you! That link worked perfectly. @ FlyerM – Excellent. Thanks for the update! Contest has ended. Don’t waste your time looking. Between 12:01 a.m. Central time (“CT”)] on July 13, 2012 and 11:59 p.m. CT on September 7, 2012 (” Promotional Period”), complete an official entry in the manner listed below. You should still be able to enter with this link to AA’s Facebook page.